Despite years of research and much controversy surrounding the effects of ecstasy use, findings are equivocal. Attempting to reduce methodological problems, such as concurrent use of other recreational drugs, could lead to a clearer picture of the effects of ecstasy use on cognitive function. The aim of this study is to investigate the effects of both prolonged abstention from ecstasy use and current use on cognitive function while controlling for the regular use of other recreational drugs used by ecstasy users (alcohol, cannabis, cocaine, amphetamines and lysergic acid diethylamide). A range of cognitive functions (including working memory, episodic memory, verbal learning and executive functions) was assessed in 109 participants: 25 current ecstasy users, 28 ex-ecstasy users (abstinent for at least 1 year), 29 polydrug-using controls (matched to both ecstasy-using groups for the use of other recreational drugs) and 27 drug-naïve controls. There was an overall tendency for impaired verbal learning and memory in both current ecstasy users and polydrug controls. 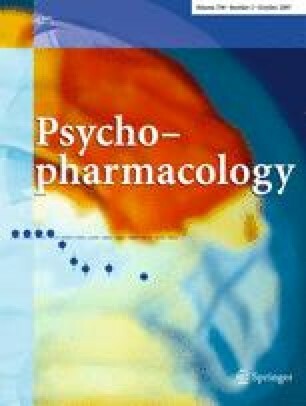 There was also evidence of reduced response inhibition in the current ecstasy users and polydrug controls, which appeared to be related to recency of drug use. However, the majority of tests showed no group differences. The results suggest that recreational drug use in general, rather than ecstasy use per se, can lead to subtle cognitive impairments and that recent drug use appears to impact strongest on cognitive performance. This study highlights the importance of controlling for the use of all recreational drugs and, in particular, recent drug use when investigating ‘effects of ecstasy’ on cognitive function. RH was supported by a Medical Research Council (UK) studentship.